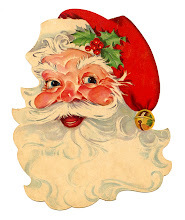 Lori's Purple Giraffes: Christmas in July BLOG HOP! to start at the beginning and be eligible for prizes. So, here's how the blog hop works. 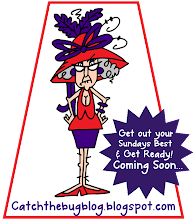 Start at the beginning and hop along to each person's blog and leave a comment on their card. Each DT member will chose a random commenter and that person will win the image that DT member used. Play along with today's challenge and link up your creation at the end of the hop to be in the running for free Bugaboo images. 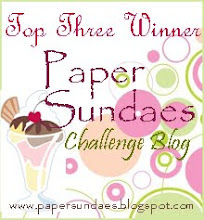 In addition to the blog hop, we'll have challenges all week long so you'll have lots of chances to win prizes. How adorable is that reindeer.. Love it! Your paper is great too.. never seen it and I love it! Lovely card. I love it! Oh this is adorable. Love the papers you used and that image is adorable. This is so cute! Love that DP! Tee HEe - what a cute image! super cute! need those papers! Lori, fun papers and super cute image. Makes me smile. Great paper to give the perfect background for the cute image!!! Super adorable! Love your papers for sure!!! love your card thanks for all your hard work! Rudolph is adorable..but he sorta looks like he's been in the egg nog!! hee hee Oh how fun is this guy! Super job and so very cute. 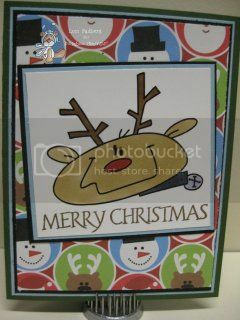 Wow..have to say..I really like your card..haven't seen this image along the blog hop...very cute!! Love your background paper too!! Lori--Very cute. Love the DP! Absolutely in love with this project! Thanks for sharing! Cute card!! LOVE the image!! Love that image and background paper!!! Great card!! He looks a really happy rudolph. Love the background papers that you have teamed with the image. You have done Rudloph proud, Lori! Too cute! 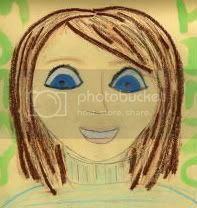 This is a great kids card! Great job, love your card. Awesome! Adorable card! I love the colors on this!